How to Get Rid of Caterpillars in Your Garden? Caterpillars by definition are the larvae of butterflies or moths. They have segmented wormlike bodies with three pairs of true legs and several pairs of leglike appendages. Caterpillars may be hairy or smooth, colorful or dull-looking, but generally speaking they resemble their environment to protect themselves from predators. For example, some look like leaves and some like sticks. Some species, like silkworms, are beneficial to us as the nests they create during the stage of metamorphosis are the essential materials for the fabric industry, while some other species living in tropical forests are very poisonous. In general, most species of caterpillar are considered to be destructive to plants because they feed on the leaves, shoots, fruits, and even the wood of trees, causing enormous damage. As an agricultural pest, heavy infestations of caterpillars may ruin the whole crop. The parts of the plant that they commonly eat with their cutting and chewing mouthparts are the leaves. Foliage feeders may even defoliate entire trees, so if you plant vegetables in your garden, watch out for smooth green or redhumped caterpillars that feed on the tender new leaves of the veggies. Some species such as leaf rollers or tent caterpillars not only eat up the leaves, but also form silk webs or tents to create protected feeding sites for themselves. Fruit borers such as codling moth larvae may cause damage to fruit trees such as apples or pears. They drill into the fruit and burrow into the core, which results in tremendous fruit loss if not controlled early. Tree wood can also be chewed up by caterpillars, who afterwards leave behind their excrement that looks like sawdust. This can cause entire branches to die. 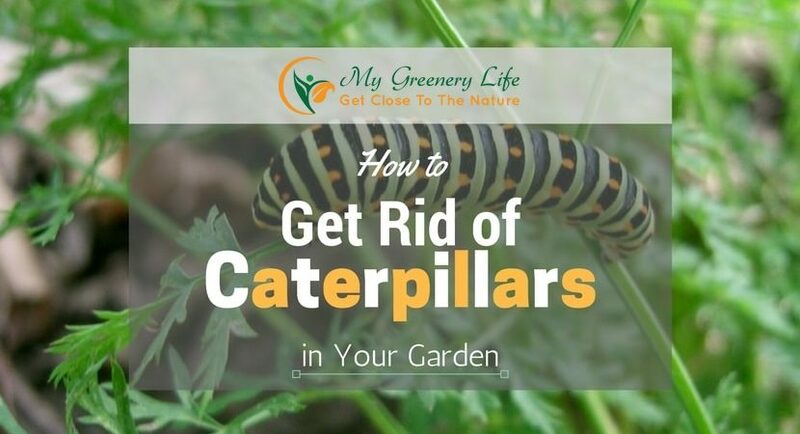 For all the above reasons, caterpillars are the number one destroyer of plants or trees, and you would never want to see them around your garden or crops. Do you know how to get rid of caterpillars? This is the main thing you may wonder if you happen to notice caterpillars around. There are multiple ways of controlling these pests. Of course, we should always try organic measures to cope with caterpillars first. The last resort, chemical pesticides, is only for when an infestation is out of control. 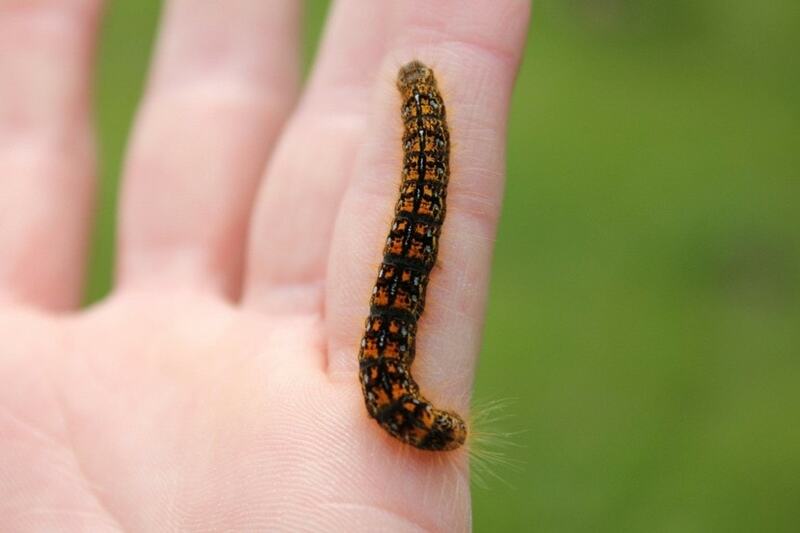 Simply remove caterpillars by hand if you see any on your plants or vegetables. This works better in a small garden as you need to walk and closely look among the leaves of each plant to locate the worms. If you can cope with killing them yourself, a bucket of hot water mixed with some soap will quickly drown the caterpillars. Covering the planting area with porous polyester fabric sheets is a good way to keep caterpillars away, as butterflies or moths may not have a chance to lay their eggs in covered areas. While protecting plants from pests, the shields still allow light to reach your garden. In case you don’t have sheets for the whole planting space, placing cardboards around tree bases also helps to deter caterpillars from invading them. Certain herbs or flowers such as lavender, peppermint, mugwort, or sage release a scent that is unpleasant to caterpillars. Therefore, planting those among your garden plants or in your fields could repel caterpillars effectively. Your plants will be protected under the disguise of the scented herbs as caterpillars may not want to get closer, thinking that those plants are not their favorite foods. Bacillus thuringiensis is a natural bacteria that kills caterpillars, but does not harm other beneficial species, pets, or humans. Bt will dysfunction the caterpillars’ digestive system once eaten by the pests and ultimately cause them to die. It is a great option for getting rid of caterpillars. 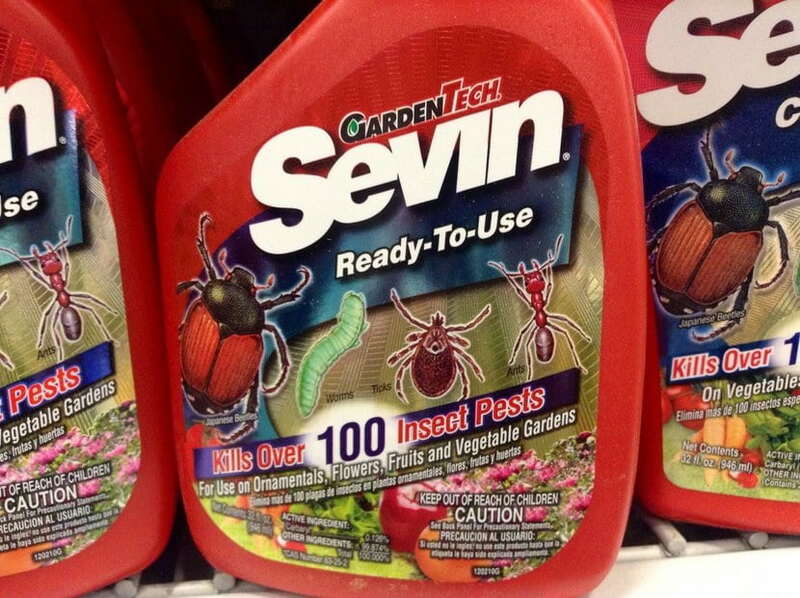 You should find Bt in your local gardening store. It’s usually in powder form. Follow the instructions to mix it with water and spray on invaded plants. The right time to apply this is about 10 days after the caterpillar eggs have hatched and two weeks later when small caterpillars emerge. 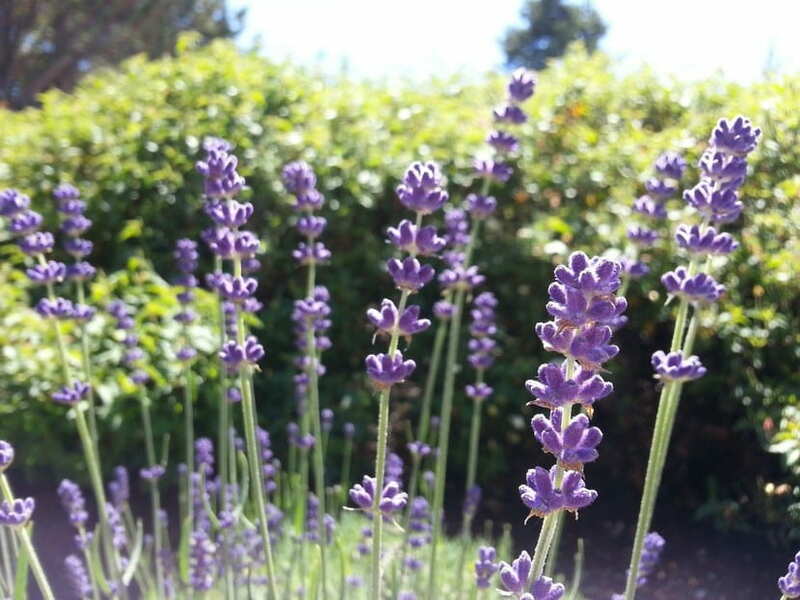 Utilizing their natural enemies to control caterpillars is a great way of protecting your precious plants. Birds are one of the caterpillar predators that you should try to attract to your field or garden. Have a bird feeder, birdbath or bird house hung somewhere in your planting area to attract birds. They will come to eat caterpillars. 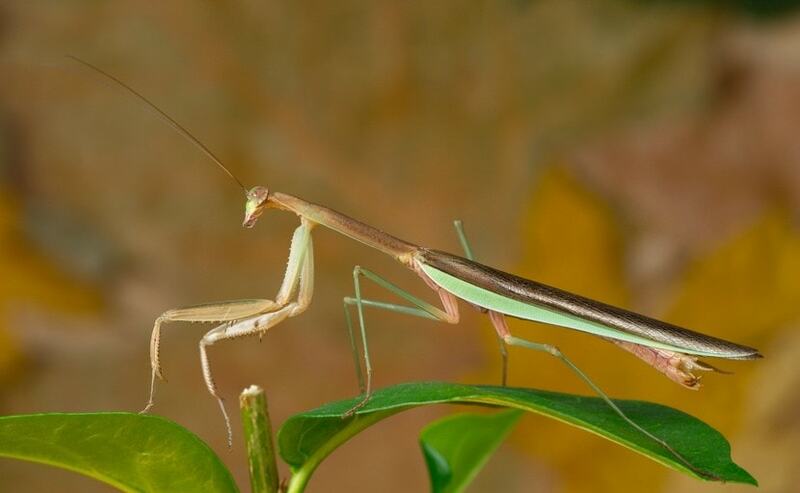 You can also increase the number of predatory insects in your garden by buying a box of praying mantises that also feed on caterpillars. Chickens and ducks love to eat caterpillars as well if you have space for them. This is the last resort due to their harmful effect on the environment, on beneficial insects and on humans as well. However, if the caterpillar infestation is still beyond your control after trying all other solutions, pesticides can be used. There are organic types that are less toxic. Keep pets and children away from pesticide-sprayed areas to prevent them from contact with dangerous chemicals. You need to allow time for the pesticides to dissipate before harvesting your crops if you’ve sprayed them onto vegetables or fruit. Again, you should use this as the last resort for dealing with caterpillars once other measures haven’t worked. Those remedies for caterpillar infestation that we’ve discussed should be useful for those times you are facing these destructive pests. Now you know how to get rid of caterpillars in several different ways. You may choose to apply just one or two methods or combine all of them to have the greatest chance of repelling caterpillars. However, one key thing before fighting against the pest is that you’ve got to know what kind of caterpillars you are dealing with. There are various caterpillar species and each type can be got rid of by different ways. Understand your enemy and you will increase your chances of beating it. We hope this article has been helpful and shown you just how to get rid of caterpillars from your garden area.